5.3 oz. 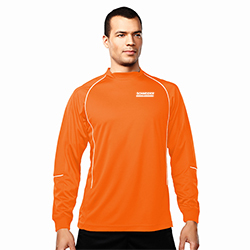 100% polyester twill interlock long sleeve shirt featuring UltraCool(R) moisture wicking technology. Accented with contrast flat piping and mesh panels along sides and sleeves. Rib trim along cuffs and front neck.